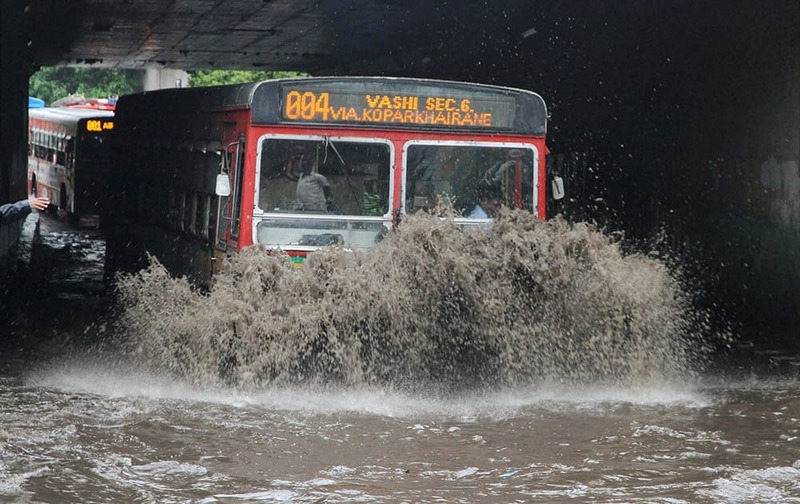 Vehicles wade through a water logged road after heavy downpour in Mumbai. 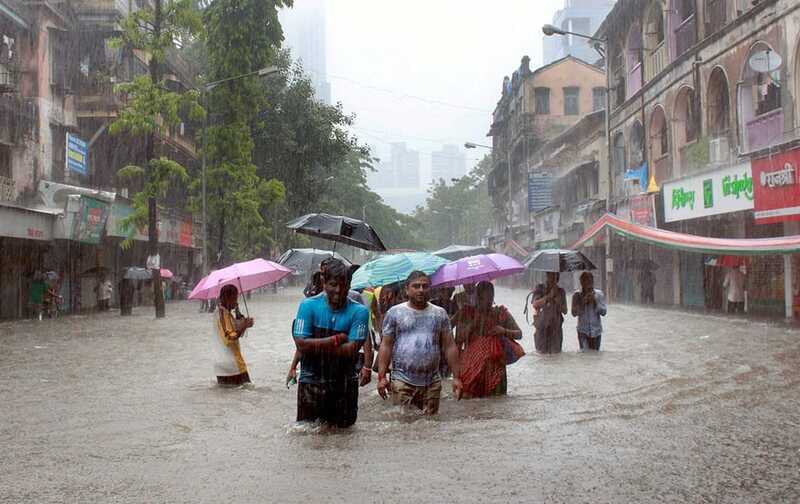 People wade through a water logged street after heavy downpour in Mumbai. 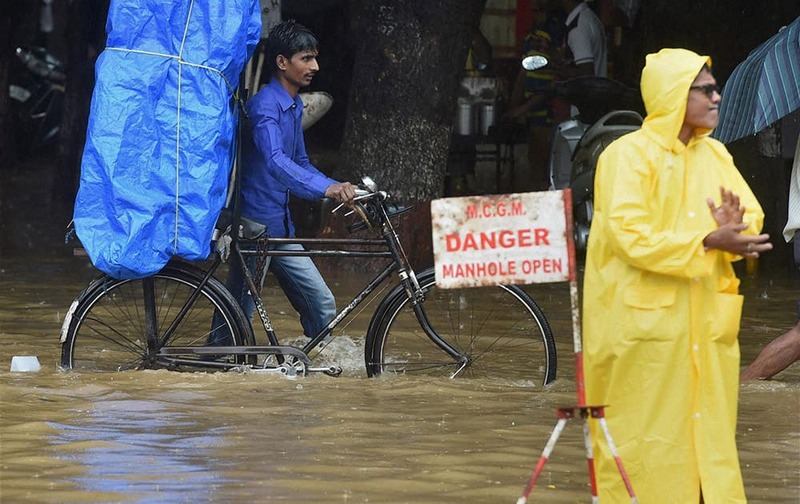 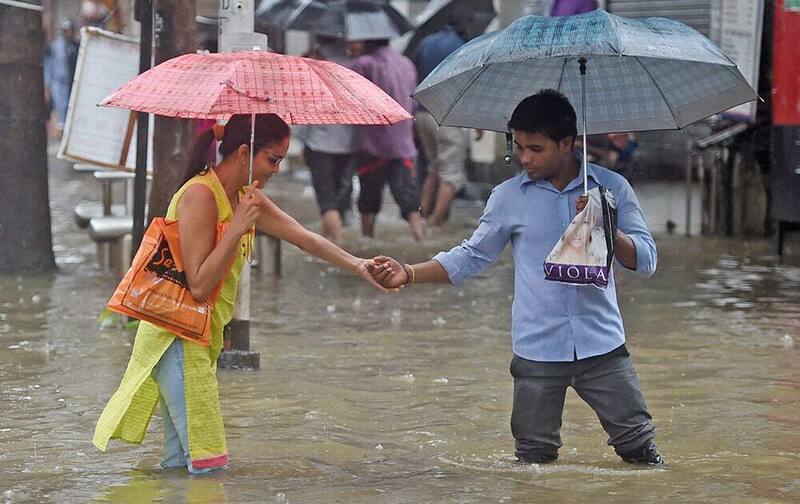 People wade through a waterlogged road after heavy rains on second consecutive day in Mumbai. 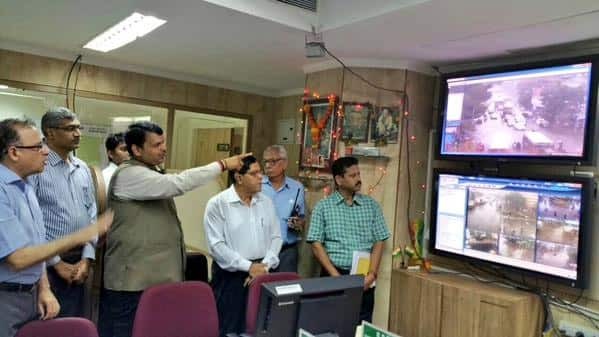 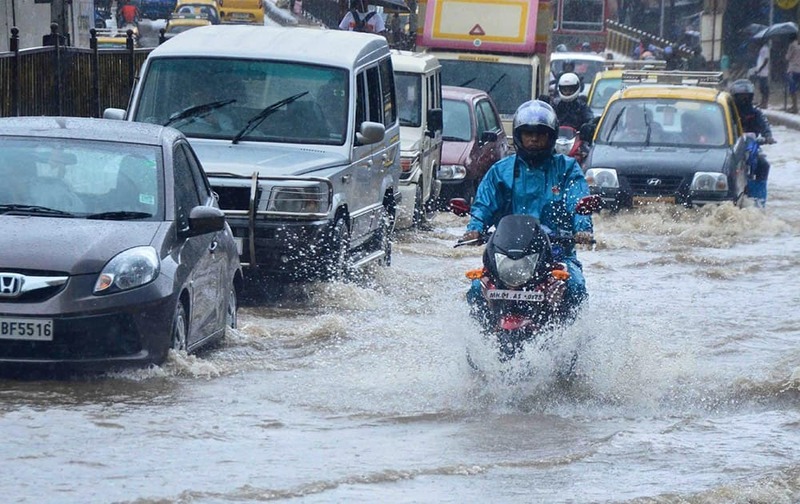 Water logging at roads after heavy rains on second consecutive day. 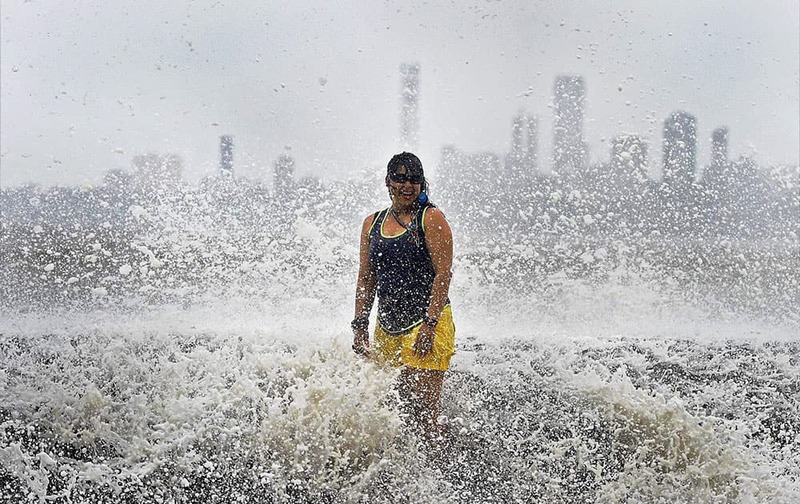 A girl enjoys high tide at the Marine drive in Mumbai. 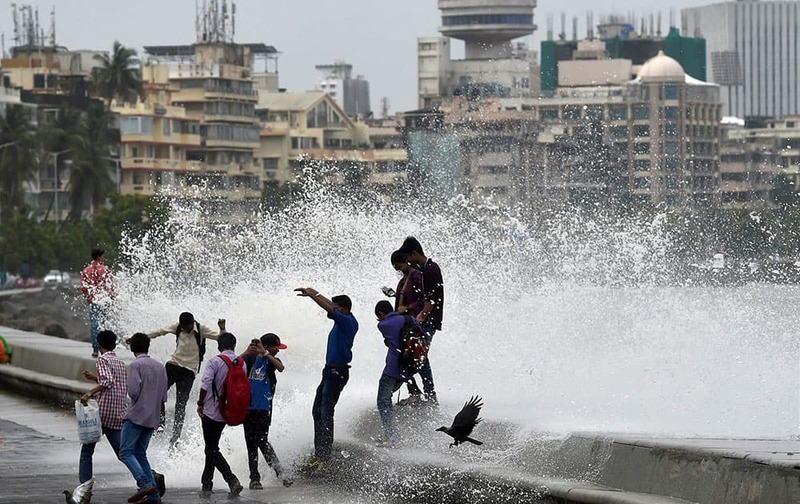 Mumbaikars enjoy high tide at the Marine drive in Mumbai. 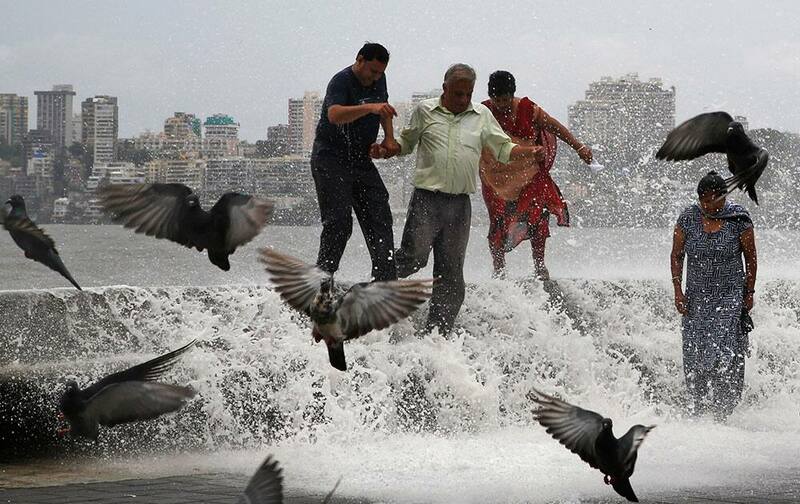 People enjoy high tide during monsoon season in Mumbai. 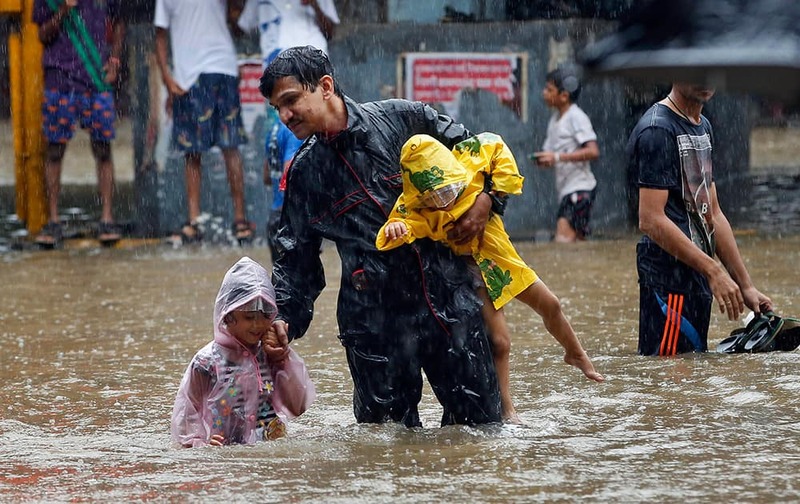 A man carries children and crosses a waterlogged street as it rains in Mumbai. 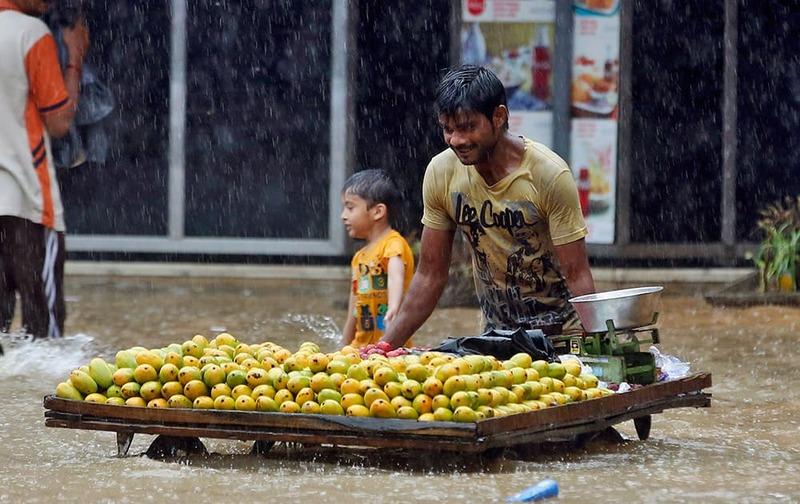 A fruit vendor pushes his cart through a flooded street during monsoon rains in Mumbai. 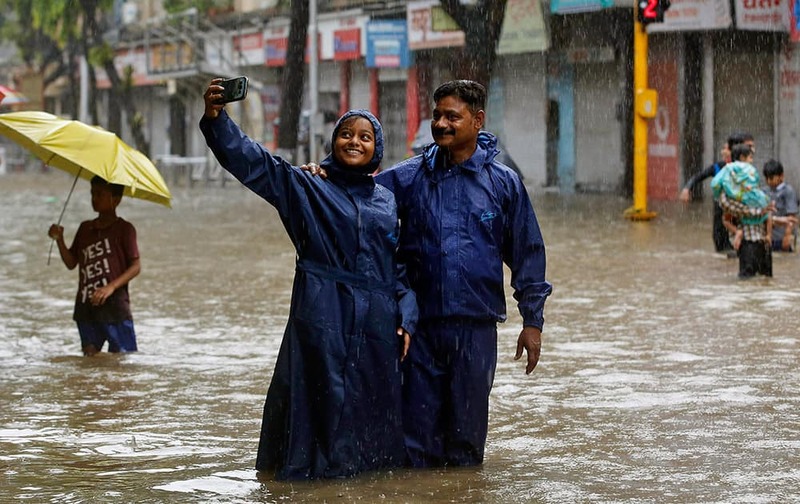 Couple take a selfie on a water-logged street as it rains in Mumbai. 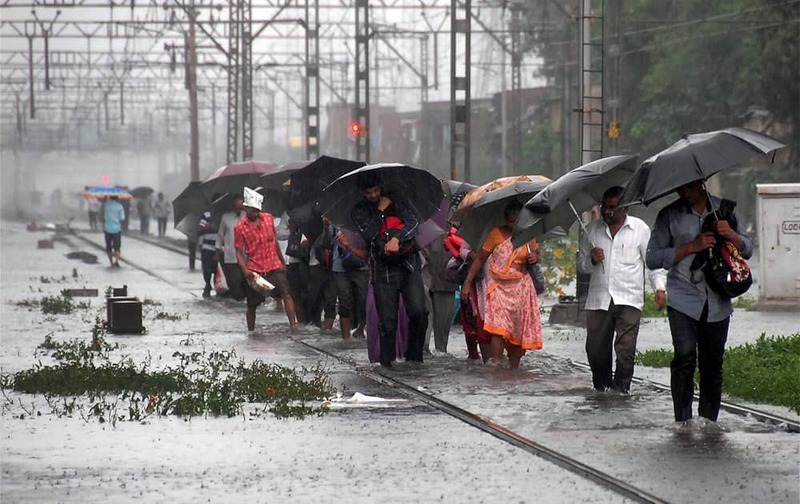 People walk through flooded railway tracks after heavy rains in Mumbai. 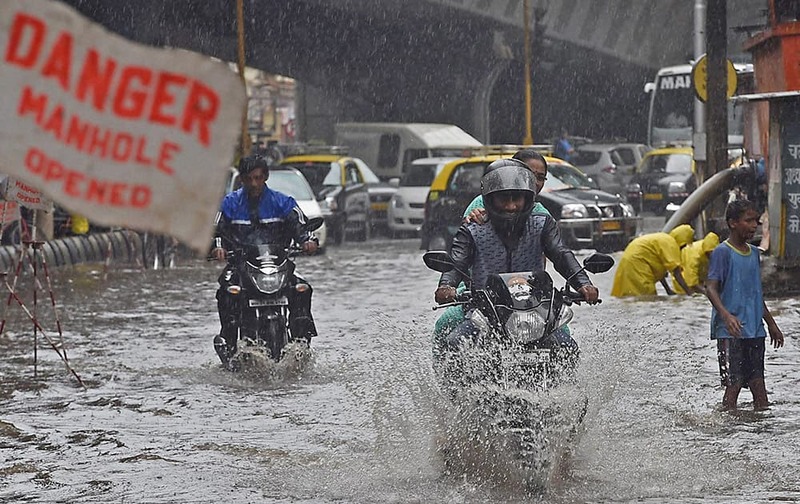 People wade through a water logged road after heavy rains in Mumbai. 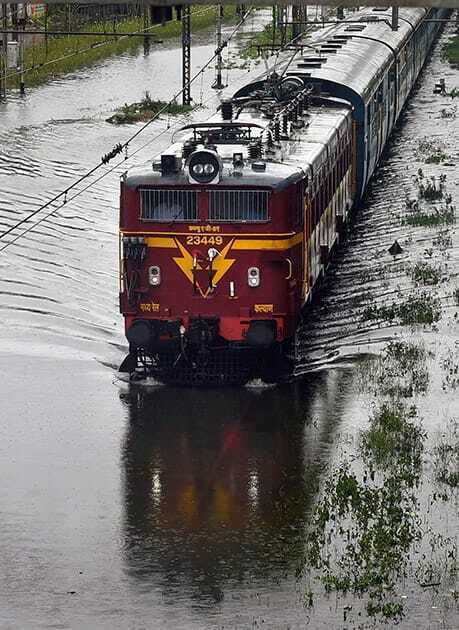 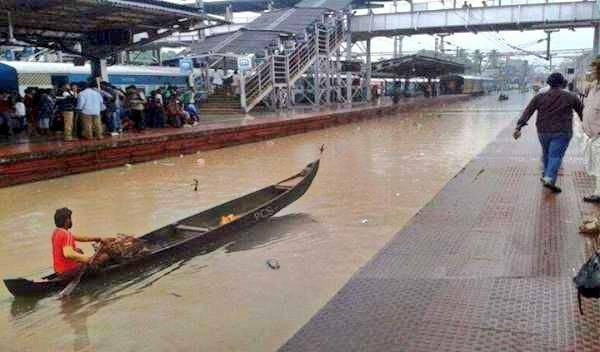 A train wade through a water logged track after heavy rains in Mumbai. 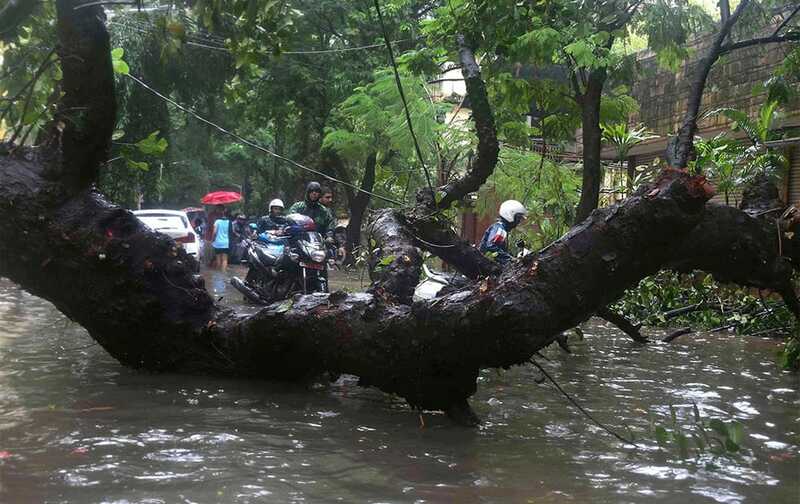 A tree falls on a road after heavy rains at Dadar in Mumbai. 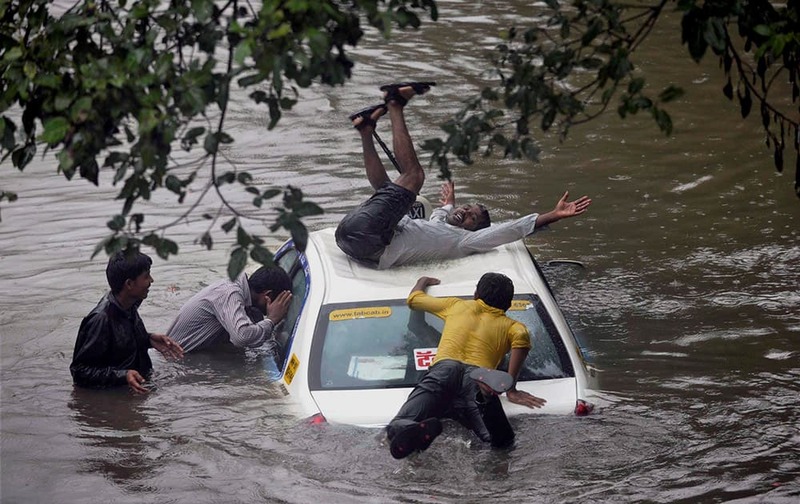 A vehicle stuck in rain water at a road as boys having fun after heavy shower in Mumbai. 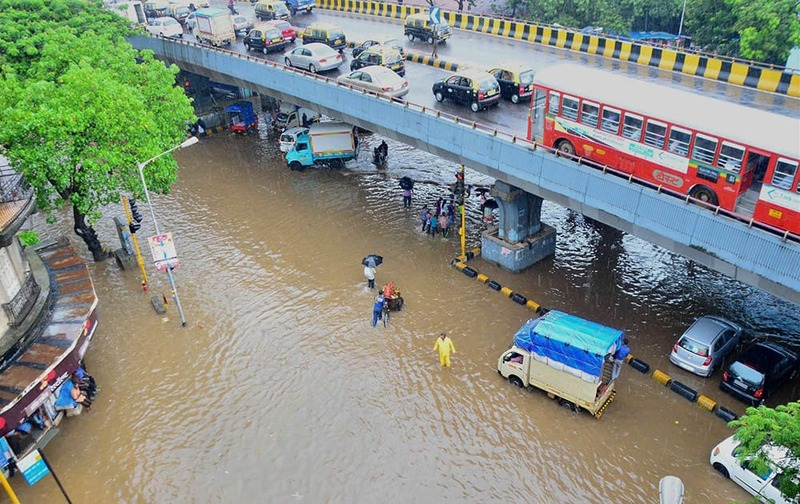 People wade through a water logged road after heavy rains near Dadar in Mumbai. 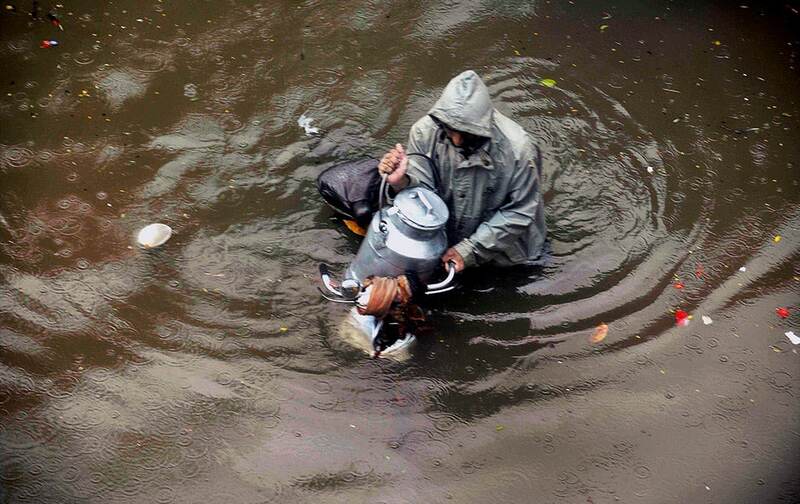 A milkman wades through a water logged road after heavy rains near Dadar in Mumbai. 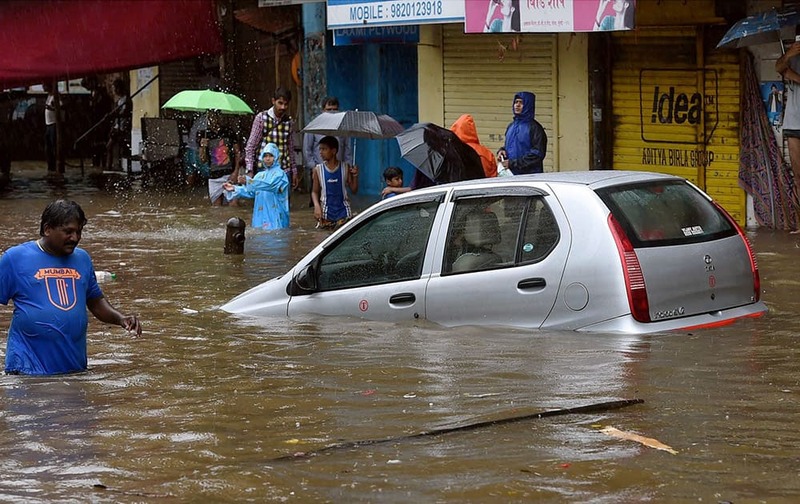 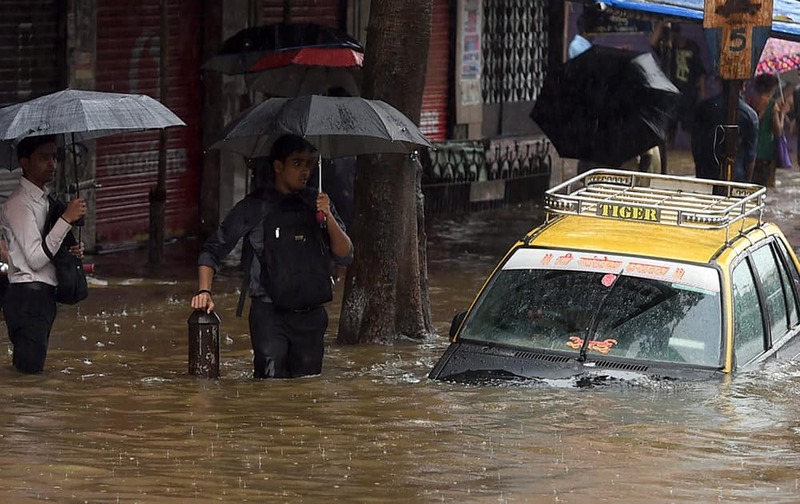 Vehicles wade through a water logged road after heavy rains in Mumbai. 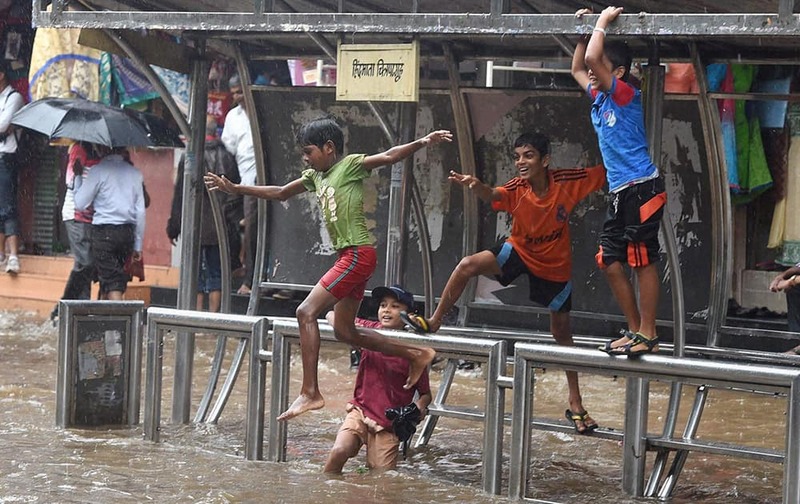 Children enjoying at a water logged road as it rains in Mumbai. 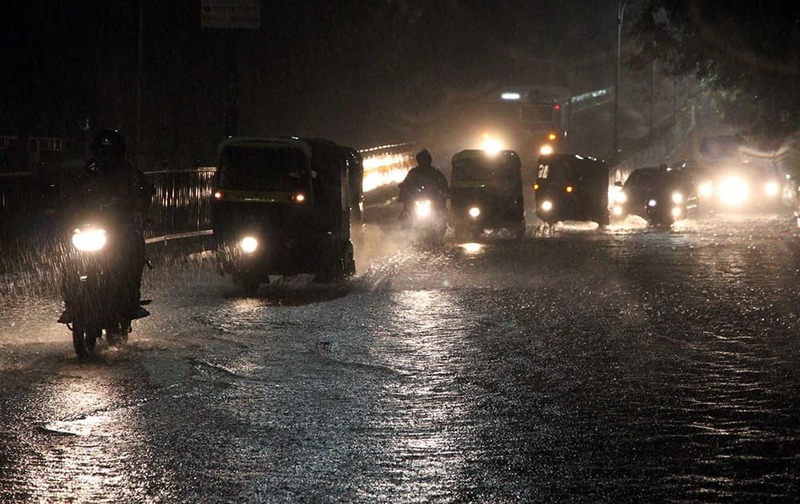 Vehicles wade through a water logged road after heavy rains. 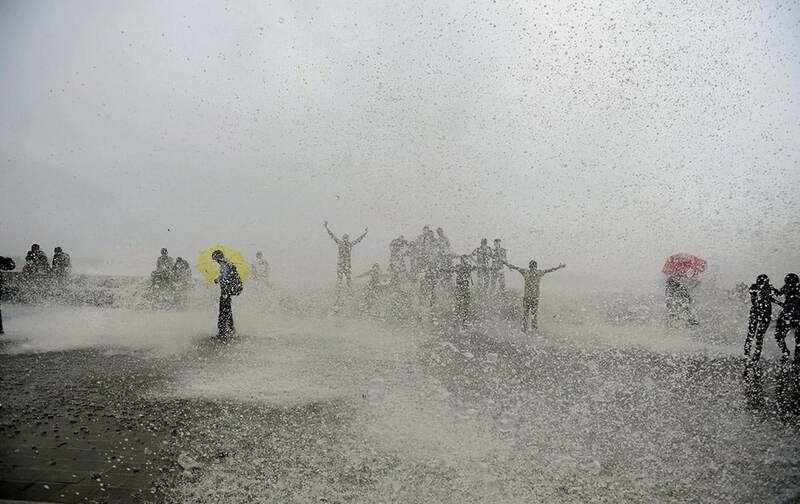 people get drenched from a wave that hit the shore during high tide at the Arabian Sea coast marking the arrival of monsoon season in Mumbai. 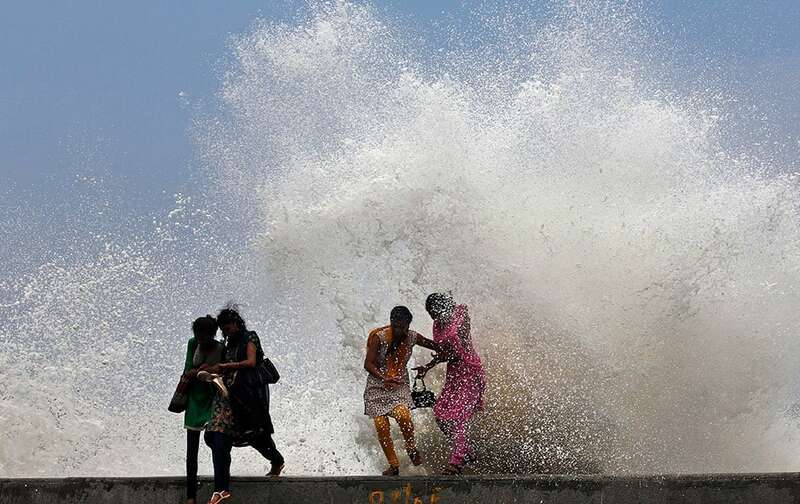 girls enjoy high tide waves marking the arrival of monsoon season on the Arabian Sea coast in Mumbai. 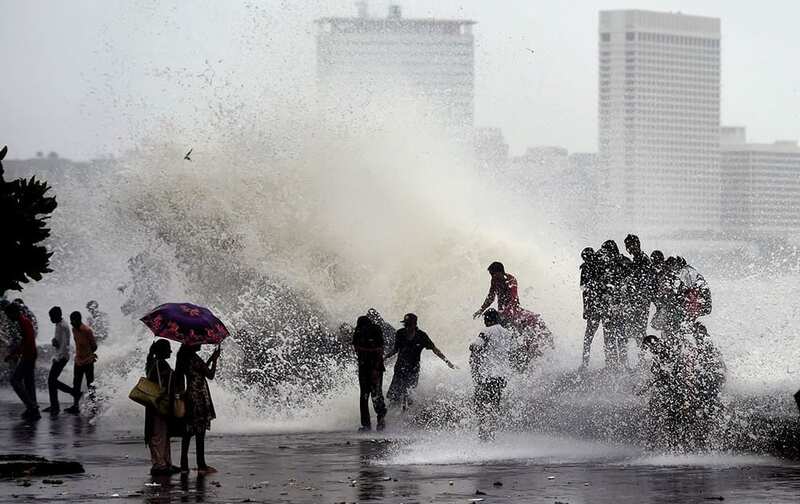 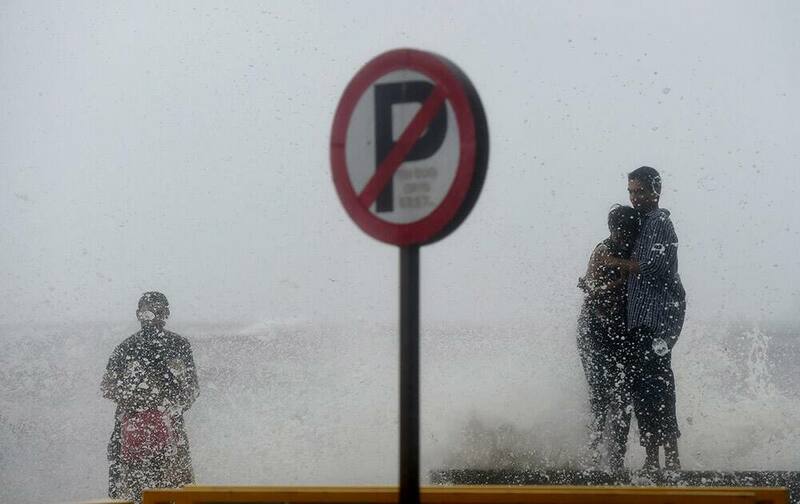 People try to walk away as huge tidal waves hit the Arabian Sea shore marking the arrival of monsoon season in Mumbai. 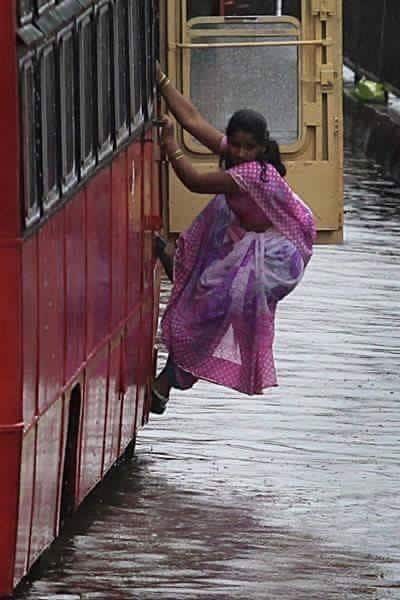 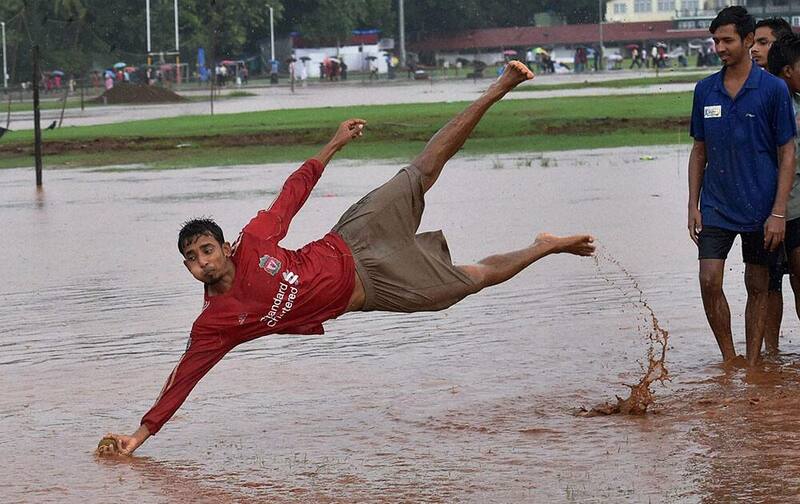 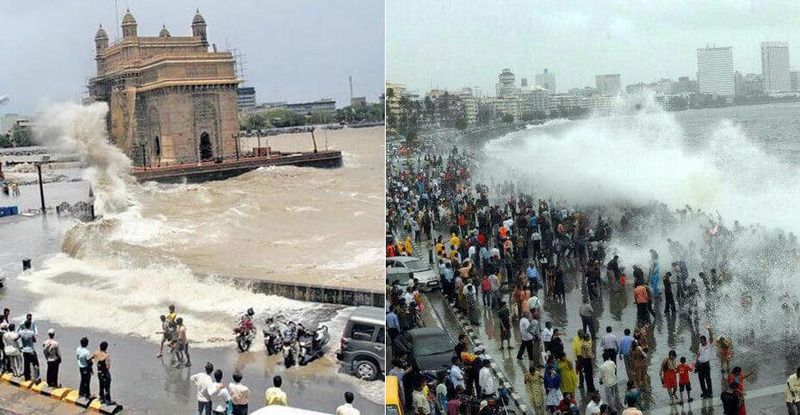 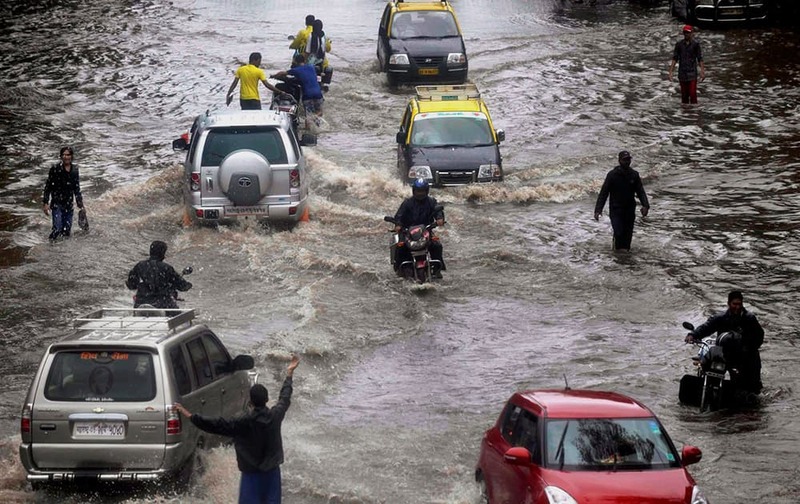 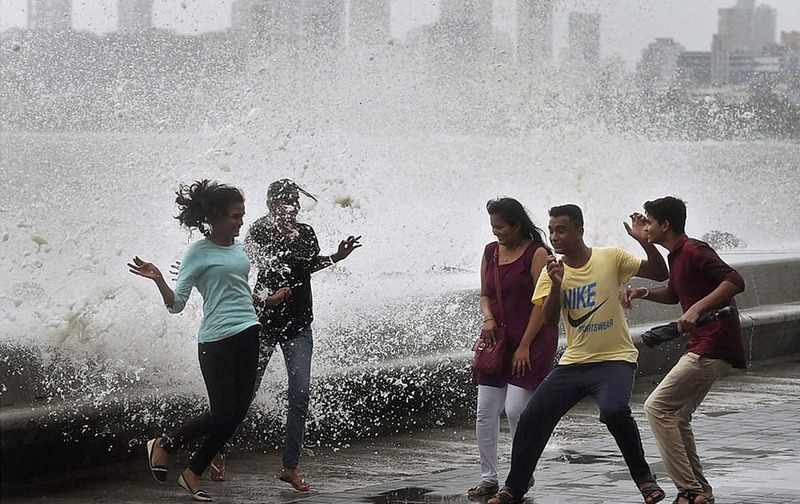 Mumbaikars enjoy high tide during monsoon season in Mumbai. 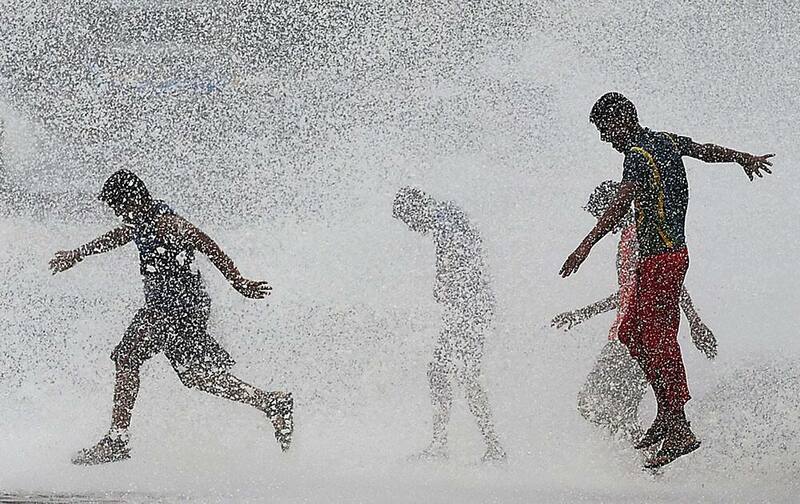 Boys play in the rain water at Azad Maidan in Mumbai. 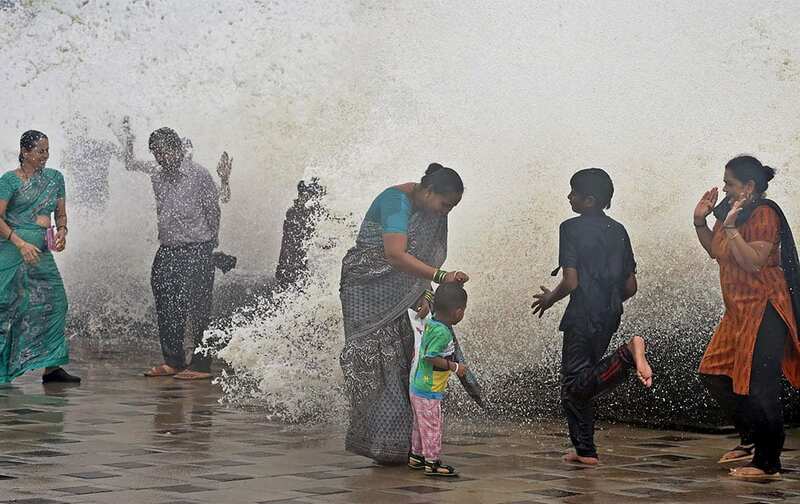 Mumbaikars enjoy high tide during a monsoon season in Mumbai. 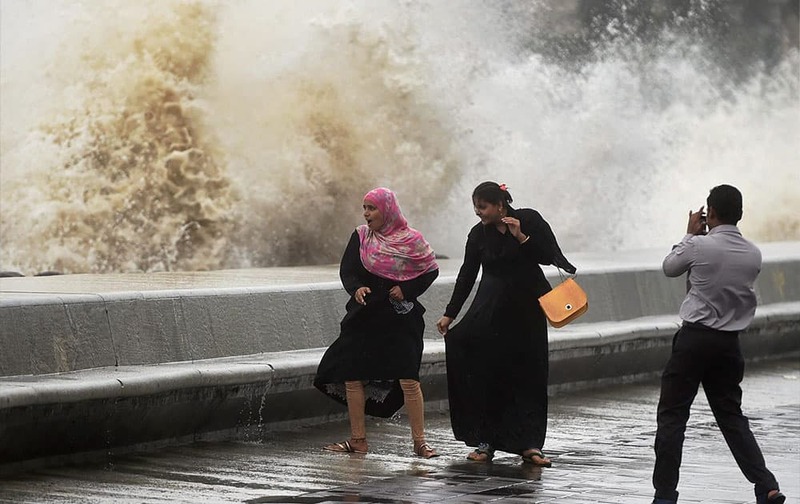 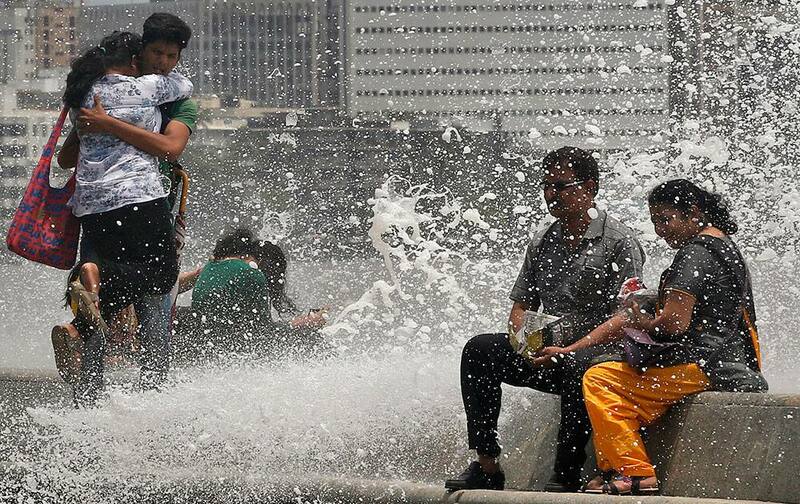 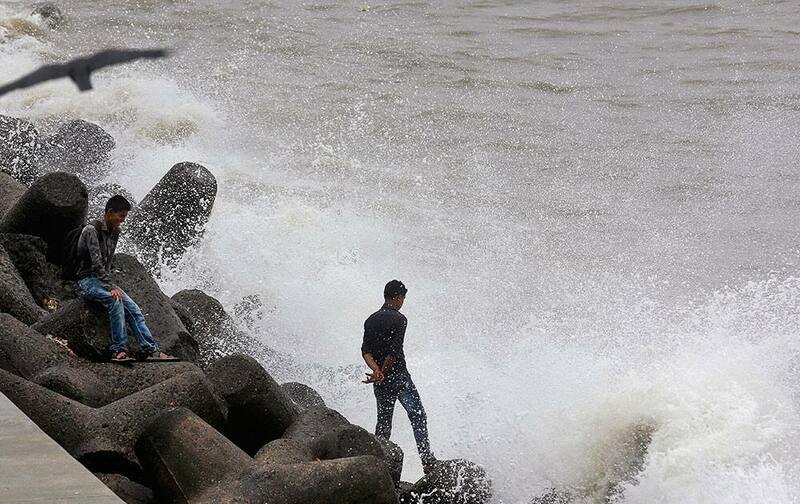 Indians enjoy high tide waves on the Arabian Sea coast in Mumbai. 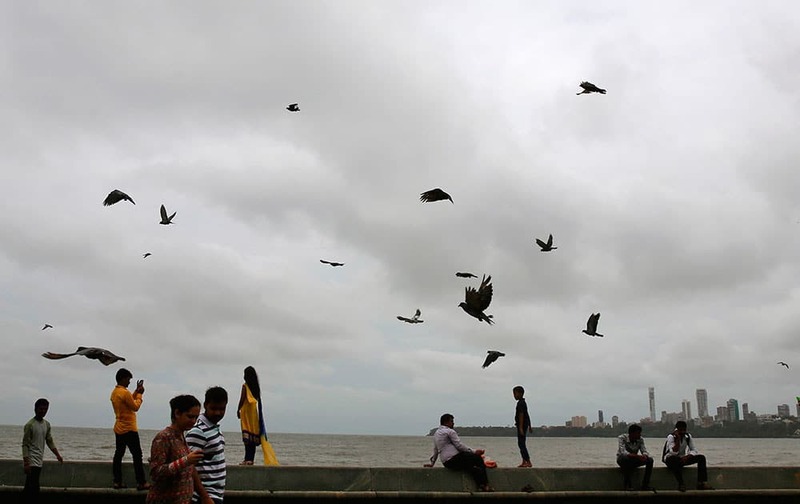 Indians sit on the promenade as others walk through the Arabian Sea coast during the monsoon season in Mumbai.